Buy Steven a Coffee. ko-fi.com/scoffingames - Ko-fi ❤️ Where creators get paid by fans, with a 'Buy Me a Coffee' button. 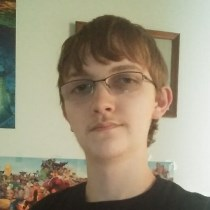 I am a games journalist who works at my site, scoffingames.com. I mostly focus on covering small indie games. I do not have any ads on my site and want it to stay that way. I hope to write about more games and start streaming! Secured Payments. Support goes to Steven's account. Upgrade Steven to a yearly Gold Membership with a one-time payment.